Karen began her practice 25 years ago after training under the guidance of Professor J.R. Worsley, the world-renowned professor of 5 Element Acupuncture. During this time Karen has successfully treated many patients with women’s health issues, including menstrual, fertility and menopausal disorders. Karen works primarily with women who are either pregnant, or trying to get pregnant and finding it difficult to conceive. Using 5 Element Acupuncture, she has helped women to overcome PCOS, endometriosis, blocked tubes and unexplained infertility to go on to conceive either naturally, or with the help of fertility treatments. In addition she has worked with many patients during pregnancy to reduce anxiety, blood pressure and generally improve the wellbeing of the body during this potentially stressful process. Karen regularly assists women in labour, reducing the pain and encouraging them to empower themselves during the birth process. She has also assisted in home and hospital deliveries. She works with patients on post-natal care, including the treatment of depression, assisting lactation and exhaustion. 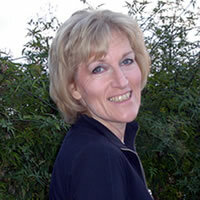 Karen is a member of the British Acupuncture Council. Within a few weeks I saw a remarkable improvement and my hair was no longer coming out in clumps. Most importantly her acupuncture treatment has had an enormous impact – my energy levels are noticeably higher and my last sperm test came back with the wonderful word “normal”! I was in an incredibly bad way by the time I met with Karen for the first time – I was very low, under a huge amount of stress with work and absolutely obsessed with getting pregnant as soon as possible. I was miserable! The treatment that Karen has given me over the last year has been life changing for me – that sounds over the top and an exaggeration but it’s not. My attitude to work has changed completely and I am performing at 110% – my mind is clear, I feel grounded and confident. I am 100% sure that this is down to the incredible treatment that Karen has given me – I don’t understand it but it REALLY WORKS! !